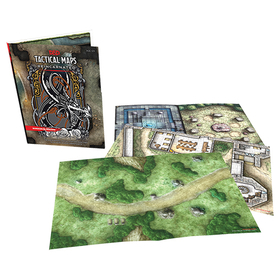 Maps are a key element of every Dungeons & Dragons campaign. A maps importance in bringing your world to life cant be overstated. The same can be said for your encounter maps. Sometimes you need a visual representation of the area your adventurers are in, or perhaps tactical combat is simply the way your group rolls. However you play, weve got you covered. Twenty beautifully rendered, tactical poster maps are contained herein, perfect for bringing any D&D game to life.